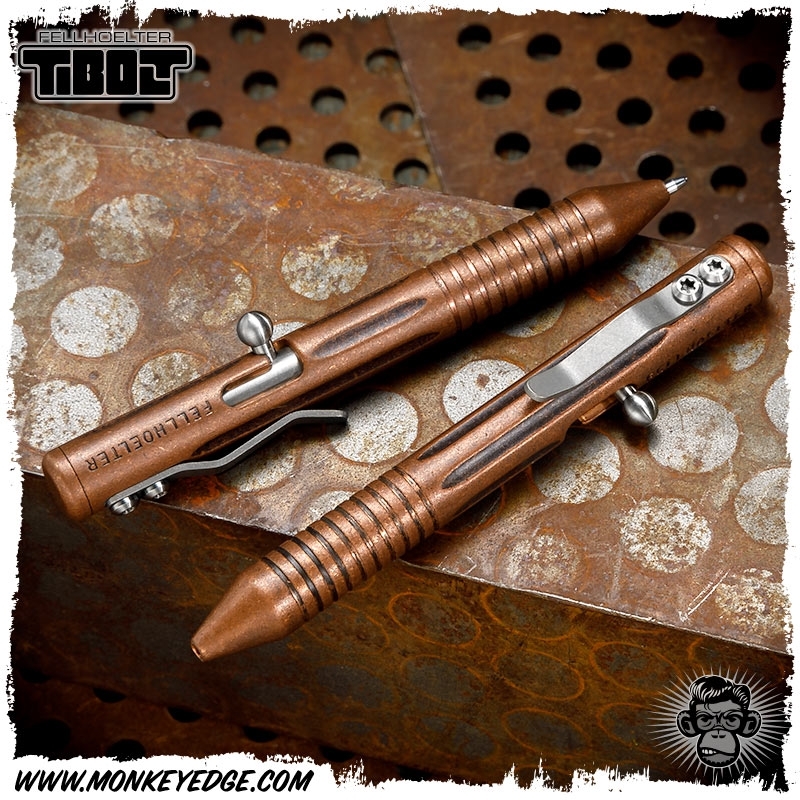 Construction: .Some copper gets made into pennies, and that copper is jealous of THIS copper that got to be made into a badass Fellhoelter pen. Vintage, distressed, finish and ready to write your own story. This version has the tip, top end, clip and bolt machined from 6AL4V titanium that has been given a durable tumbled finish. The whole pen is precision machined in the USA. Notes on Copper: This is a disclaimer for all you folks who slept through high school chemistry class or somehow not aware of the nature of copper. All metals will change colors and looks over time depending on use, environment etc. This means it may get a darker, may change colors with patina, or it may get shiny and polished where it is rubbed by another material (like say your pocket). Take those pennies out of your pocket and see how different they all look. Well there ya go: that’s copper! If you want to keep your copper all shiny and new you will have to keep cleaning it with any of the homegrown solutions you can find with an internet search. OR, you can accept that what makes brass a cool material is that your piece will change over time and tell its own stories and truly become one of a kind.